The finely designed city of Chandigarh is the capital of Haryana and Punjab. It is a Union territory. The well planned city is designed by the modernist architect Le Corbusier. The Capital complex with its high court, Secretariat and Legislative assembly, also the humongous Open hand monument. The famed rock garden of Chandigarh displays stone sculptures, industrial relics and recycled ceramics. The other attractions include the Sukhna lake, ChattBir zoo, Zakir Hussain Rose garden etc. It’s also the home to various educational institutes namely the D.A.V school, Bhartiya Vidya Bhavan and Panjab University. The crowd is mostly cosmopolitan but the predominant religion is Sikh. Languages spoken are Hindi, Haryanvi, Punjabi and English. 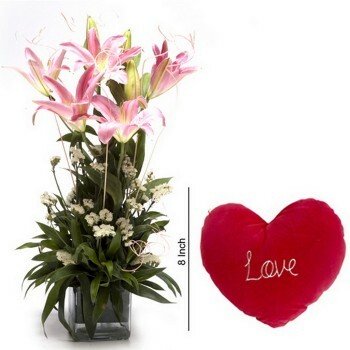 Send flowers to your love ones in Chandigarh with extreme ease. With Book A Flower say goodbye to the never ending search for a good online store to order gifts. Book A Flower brings to you an ultimate range of Flowers at gifts that are high on quality and suit every occasion perfectly. With Book A Flower, order and send flowers & gifts online on the same day. Together with the personalized message, surprise your loved ones with Flowers, gifts and cakes on their special occasions. As a reputed website for online flower delivery in Chandigarh, we offer customized gifts for every occasion and special combos for every gifting. Our services that are not just pocket-friendly and convenient, but also dependable. 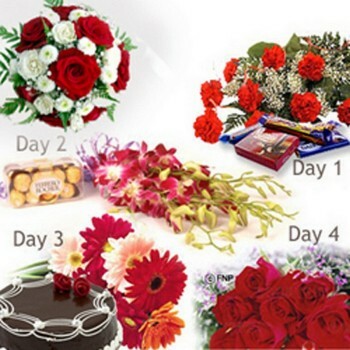 With Book A Flower, book flowers and gifts online and you can send it to Chandigarh on the same day within 3-6 hours. You can also win special discount coupons and reward points on each order. You can also order cakes online in Chandigarh and get it delivered on the very same day! So now an exciting surprise to your relatives and friends in CHANDIGARH is just a click away! Not just sending, buying flowers is also easier now! 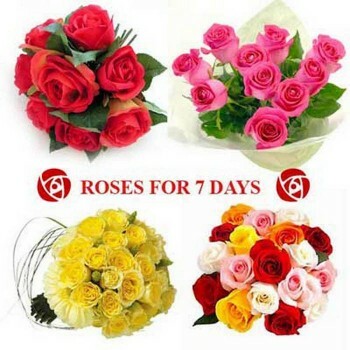 Select flowers, buy them directly online and get them at your door steps within 6 hours of order placement. With an aim to satisfy our clients to the fullest, we deliver your orders on the same day of order. So worry no more about last minute plans. 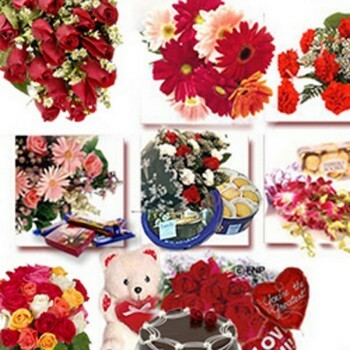 Order and send flowers to Chandigarh within 3-6 hours of you order. Make your mother happy, this mother’s day with a heartfelt message combines with a bouquet of flowers of her favorite color. Book A Flower makes your surprise-planning easier with a bunch of gift ideas that you can add on to the Flower combo. Surprises are the best presents for any occasion. Choose a perfect gift for you dad online and sent it to him directly along with Flowers that speak for you. Search online for gifts and flowers for your daughter in Chandigarh and send to her with just a click on Book A Flower website. Red roses for valentine often turn into lifetime memories. Send a beautiful bouquet of roses along with personalized message to Chandigarh this Valentine ’s Day. This Women’s day, celebrate with a delicious surprise cake and flowers for the lady’ delivered right at their doorsteps. Make their day more outstanding. Along with a sorry message, send condolence flowers to Chandigarhon the same day and let your loved ones feel your presence during their moment of sadness. 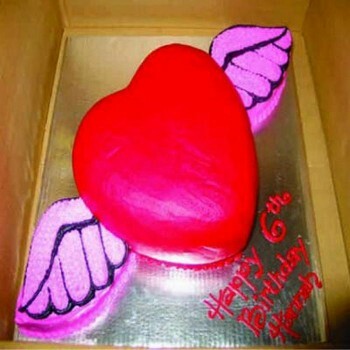 Order cakes of every size and flavor directly online, add a special message and make it a worthy anniversary surprise. Send fresh and authentic range of flowers to any region in Chandigarh with just a few clicks on Book My Flower mobile application. Choose gifts that suit her/him perfectly from our huge assortment of anniversary gifts. In time delivery is assured! Celebrate anniversary on style with pocket-friendly personalized cake and cheap flower combos that look exotic and perfect for the occasion. With Book A Flower, let every Anniversary be more special. Send Birthday cakes of selected flavor along with personalized message in a smart way directly through Book A Flower website. Celebrate birthdays with a beautiful combination of colorful flowers exclusively personalized as per your requirement, on Book A Flower. Send cheap, best and apt birthday gifts that suit her / his personality directly through our mobile application within 6 hours of ordering. 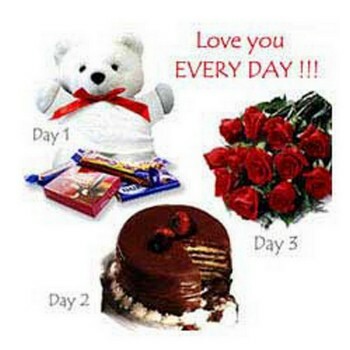 Gift your friends in Chandigarh with an awesome birthday cake and flower combo and make their day. 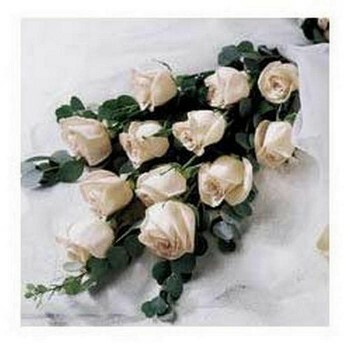 Order directly online or from Book A Flower mobile application and get same day delivery. When you are in Chandigarh, home isn’t far away! 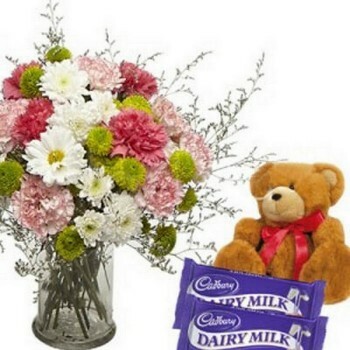 Order and send flowers from Chandigarh to any place in India with ease and make your presence felt at home. Christmas is incomplete without gifting. Send Christmas flowers, plum cakes and X-Mas gifts to CHANDIGARH with a scent of love directly through Book A Flower. Let distance not matter in front of your love for your brother/sister. With Book A Flower, send Rakshabandhan Rakhis, flowers, cakes and gifts to Chandigarh smartly! This Diwali, burst surprises to your loved ones. Send Diwali flowers, cakes and gifts to your friends and relatives in Chandigarh. Make the best time of the year even better by sending specially make cakes, gifts and newyear flowers to Chandigarh through online order.